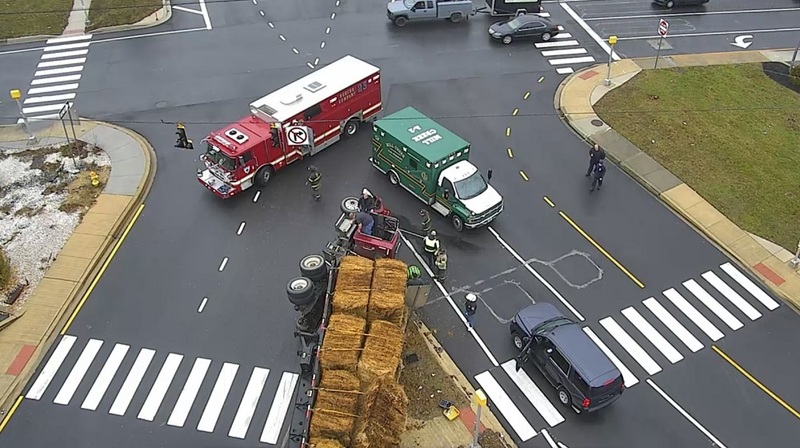 Stanton – Delaware State Police are continuing their investigation into a crash involving an overturned tractor trailer that took place at the intersection of DE Rt. 7 northbound and DE Rt. 4 eastbound, in Stanton. 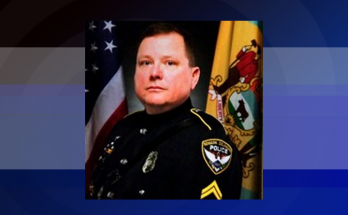 The incident occurred at approximately 12:05 p.m., Friday, February 23, 2018, as a 2000, Koehring tractor trailer, operated by Pittman Lee Cary III, 39, of Pocomoke City, Maryland, was rounding a curve on DE Rt. 7 northbound, just prior to the intersection with DE Rt. 4 eastbound. 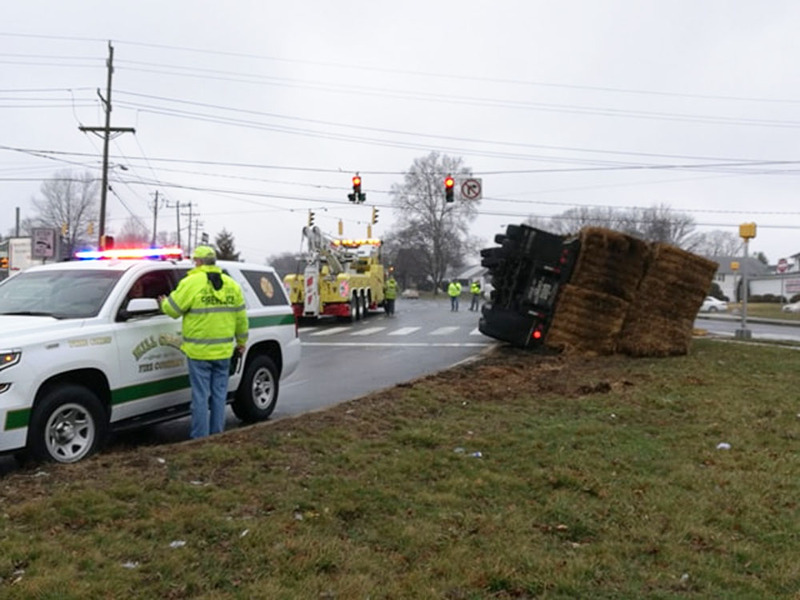 Carey failed to negotiate the curve and in turn the vehicle, which was fully loaded with hay, overturned onto it’s right side, coming to rest in a grassy median, according to police. 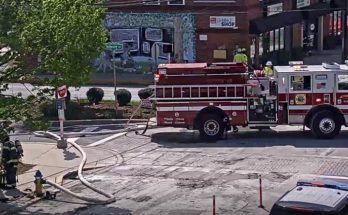 Carey, who was able to exit the cab of the vehicle under his power, was treated at the Christiana Hospital for minor injuries. Carey was cited for Careless Driving. Stanton – Rescue crews, along Delaware State Police, New Castle County Police and Newport Police have responded to Route 7 at Route 4 for reports of an overturned tractor trailer. 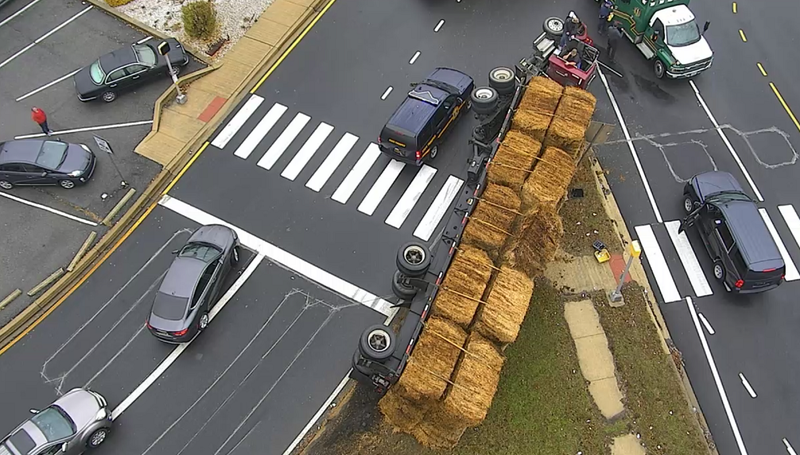 Upon arrival, authorities found an overturned tractor trailer hauling hay. Firefighters provided a ladder so the driver could remove himself from the truck. The driver is uninjured. Expect major delays for an extended period of time. Stanton – Delaware State Police are currently on scene of a crash involving an overturned tractor trailer at the intersection of DE Rt. 7 northbound and DE Rt. 4 eastbound, Stanton. 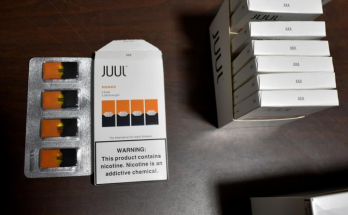 The crash occurred at approximately 12:05 p.m., Friday, February 23, 2018 and involves only the tractor trailer, which was fully loaded with hay. The operator and sole occupant of the vehicle was not injured as a result of the crash. DE Rt.7 northbound at DE Rt. 4 eastbound will be closed for an extended period of time and motorists are advised to avoid the area and seek alternate routes of travel. All lanes of DE Rt. 4 are unaffected.